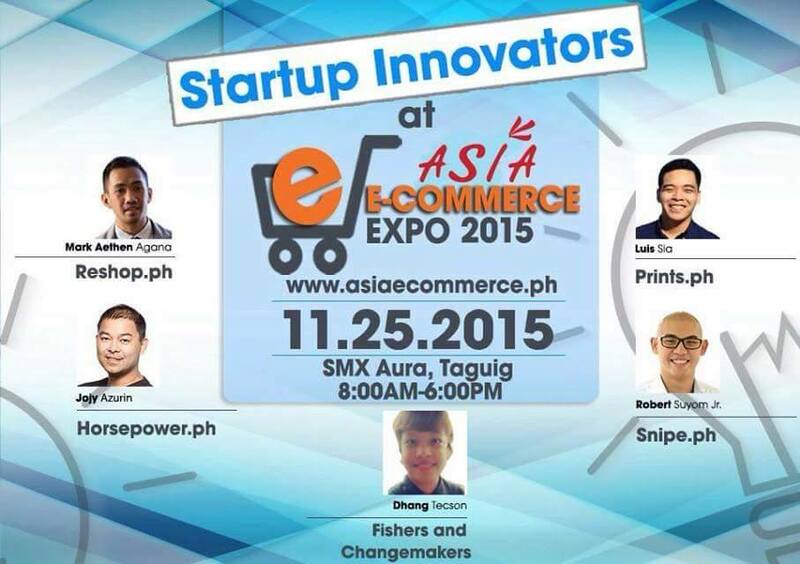 Asia E- Commerce Expo 2015 is happening on November 25, 2015 at SMX Convention Center, Taguig from 8AM to 6PM with more than 25 speakers and expecting 1000 attendees plus 30 exhibitors to showcase their products and services. The organizers will present Start Up Innovators who submitted their profiles to share with the attendees their products, new ideas and services and possibilities to meet their prospective partners. We are giving each Start Up Companies 5 minutes to present their innovations, company profiles, products and services for everyone to see. Some inventors and innovators are going to mentor them after their presentation in a panel discussion. We are expecting 1000 visitors to the event with 30 Exhibitors from different industries; Hotels & Resorts, Manufacturing, Telecommunications, Tourism, Automotive, Hospitality, Business Process Outsourcing, Academe, Health, Food and Service to showcase their products and services an to give you gigantic discounts from their packages. For partnership/sponsorship and speaking opportunity, please contact the organizer at 09166299381 or at maria@asiaecommerce.ph. 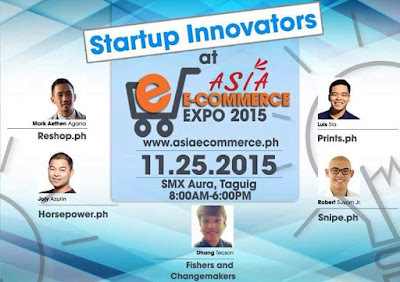 TAG Media and Public Relations is the organizer of Asia E- Commerce Expo 2015.